A row of 1 x 40 right angle male pin headers, you can break this row down to fit as required. These right angle pin headers are very useful for low profile applications. 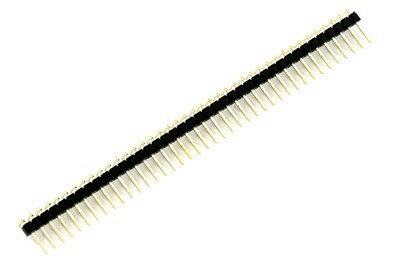 Used with custom PCBs builds or general custom headers. Fast and very good services.